DANIEL GUNDLACH has been hailed as a vivid singer and actor in his appearances throughout the United States, Canada and Europe. He has sung with James Conlon, Helmuth Rilling, Marc Minkowski, John Nelson, Daniel Beckwith, Jeffrey Thomas, Alain Altinoglu, James Richman, Johannes Somary, Philip Brunelle, Gwendolyn Toth, and the late Newell Jenkins, among others. His operatic appearances include Tolomeo in Giulio Cesare, Arsamene in Xerxes, Arsace and Armindo in Partenope, Polinesso in Ariodante, Oberon in A Midsummer Night’s Dream, Ottone in L’Incoronazione Di Poppea, the Sorceress in Dido and Æneas and Zephyrus in Apollo et Hyacinthus with Chicago Lyric Opera, New York City Opera, Minnesota Opera, Skylight Opera, Edmonton Opera, the Broomhill Festival (UK), Les Musiciens du Louvre, the Dallas Bach Society and at the Mostly Mozart Festival. He has been a soloist in oratorios by Bach (St. Matthew Passion, Magnificat and B Minor Mass), Scarlatti (the modern premiere of La Vergine Addolorata), Handel (Solomon, Samson, Messiah, Saul and Judas Maccabaeus), Purcell, Zelenka, Bernstein (Chichester Psalms) and Orff (Carmina Burana) with the Clarion Music Society, Artek, Concert Royal, Amor Artis, the Dayton Philharmonic, the Honolulu Symphony, and at the Brooklyn Academy of Music. He recently created the role of La Mendiante in the world premiere of Gualtiero Dazzi’s Le Luthier de Venise at the Théâtre du Châtelet. He also appeared in the joint world premiere of Pascal Dusapin’s Perelà, l’homme de fumée at the Opéra de Paris (as Le Perroquet) and at the Opéra de Montpellier (as L’Archevêque). A live recording of these latter performances has been recently released on the Naïve Classics label. In the spring of 2006, he sang leading roles in the world premiere of Hell at PS122 in New York City. Other engagements have included a triumphant German debut as David in Handel’s Saul with the Bach-Collegium Stuttgart and Helmuth Rilling, followed by appearances with Maestro Rilling in the Bach Weihnachts-Oratorium in Athens and a Vivaldi concert that was televised throughout Germany. He sang in concerts of Couperin and Handel with the American Bach Soloists, participated in New York City Opera’s productions of Partenope and Ariodante, and the San Francisco Opera’s production of Semele, appeared in recital on the Dame Myra Hess Memorial Concert Series in Chicago and on St. Bartholomew’s Concert Series in New York, performed as alto soloist in Handel’s Israel in Egypt and Bach’s Mass in B Minor with the National Chorale at Avery Fisher Hall, was featured in American Chamber Opera’s staged production of Pierrot Lunaire, which used his own English translation, and appeared in a solo concert with the Dayton Philharmonic under Neal Gittelman. His most recent venture is a series of duet recitals with countertenor Mark Crayton featuring newly-commissioned work by eight different composers. These recitals were premiered in New York and Chicago in the fall of 2006 under the title Conversations. He is developing a number of solo projects, including a program of staged Art Song. 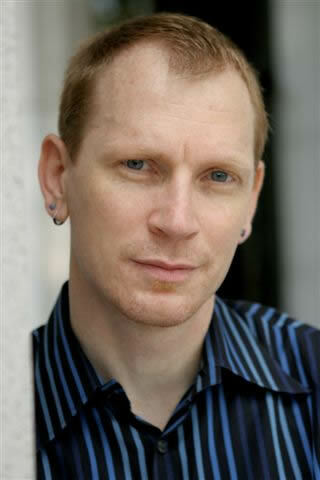 In addition to his performing career, Daniel Gundlach is active as a writer, teacher and vocal coach. He is the author of several articles on singing and singers and a pair of children’s books, has co-taught courses on musical theatre and the music of Kurt Weill at the CUNY Graduate Center and serves on the board of directors of the Lotte Lehmann Foundation, a non-profit organization devoted to Art Song and the legacy of Lotte Lehmann, the great German soprano. In that capacity, he served as a judge for the finals of the Foundation's recent CyberSing competition and is the contributing editor of SongScape, the Foundation's newsletter.